Previous PostPin4Ever Update InformationNext PostThe Easy, Fast, Free Way to See Your Most Popular Pins! On my account I have got the new gif feature that they are testing … in the beginning it irritated me, as I could not understand why on some of my pictures I got a relatively large gif symbol at the bottom on an image. Last night by pure chance I found an article on Mashable, telling me what this feature was all about; http://mashable.com/2014/01/20/pinterest-testing-gifs/. I was also surprised to see on the “related pins” the option to like or dislike. Have not done this yet, as I have not idea what this feature means, again it would be really useful if Pinterest sent you a short email letting you know what new features they are letting you test. Did you also see the following article ~ http://online.wsj.com/article/SB10001424052702304027204579334651169493632.html | Wall Street Journal interview with Pinterest CEO. 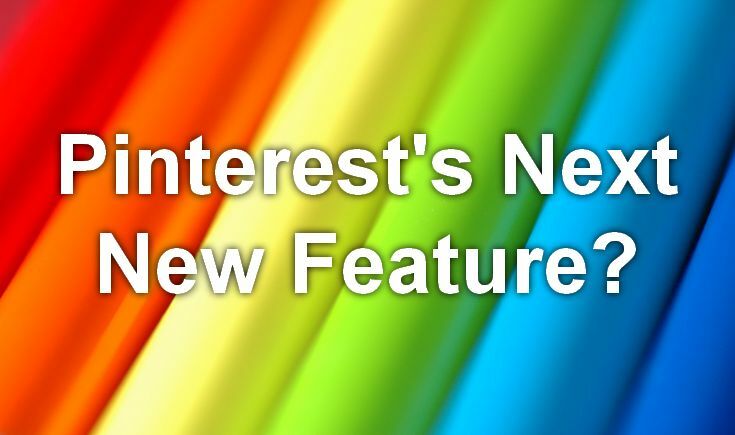 They are also making changes to the categories … I hardly use this feature so I was not aware of the changes, but two pinners have come through in the last week, voicing their discontent with the “new” categories feature. I hadn’t noticed the new categories either, I’ll have to look! It usually takes all my Pinterest time to get through my Home Feed, so I rarely seek out more pins under the categories. I’ve seen the GIFs now, after reading about them. I personally like the related pins. Not every pin is interesting to me, but a few have been very relevant to my interests. I haven’t given any feedback on the related pins yet, and I don’t know if I should. If their algorithm is sensitive enough it might work to make them even more related — but if it’s not well done, I might stop seeing any pins of a type I actually like. So I’ll probably just keep observing and repin the ones I like. I did read that article. Every time I read an interview with Ben, I think what a nice person he seems to be! The promoted pins should be interesting. I don’t think I’ll mind them too much. I think it will be like the related pins, and I’ll click on the ones that pique my interest and overlook the ones that don’t. I just hope there won’t be too many of them!